Be A Saint: Adopt This Dog! 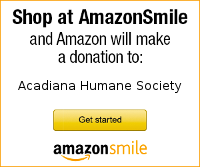 Oscar has been with Acadiana Humane Society since May 2009. He has seen many dogs come into the animal rescue system, and leave when adopted. Oscar really wants a home of his very own. He doesn’t understand why no one wants an older dog who only wants a home with someone to hold him and love him. 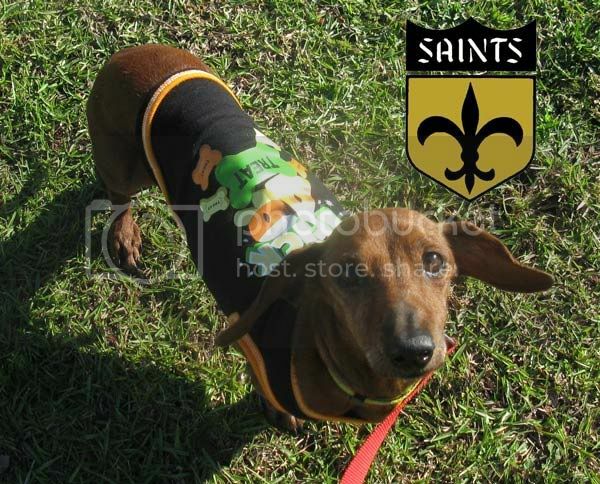 Won’t you be a Saint and adopt this dog? If you are interested in adopting Oscar, you can meet him at the Lafayette Petco this Saturday from 12Noon to 4PM. Petco is located at 3215 Louisiana Avenue, Lafayette, LA 70501 Click here for directions to Petco. Oscar is a sweet Red Doxie. The vet estimates that he is about 4 years old, based on the good condition of his teeth. However, his graying fur has us thinking he may be a few years older. Oscar is crate trained. He is mostly house trained, but has an occasional accident. Oscar loves attention. He craves the companionship of people. Oscar loves to go for car rides. He will sit on a lap in the back seat and just stare out the window wagging his tail. He gets along great with other dogs, for the most part. But, he does have jealousy issues when it comes to sitting on laps. He either needs a home where he can be the only lap dog (other dogs need to be too big to sit on laps), or with enough laps to go around for every dog. Oscar prefers not to be left alone. But, he is learning that he can not always be with someone. Oscar will bark at cats when they are on the other side of the fence. But, living at the Cat Ranch, Oscar has learned to tolerate and coexist with cats. He should do fine in a home with cats that do not antagonize him. Oscar has some scarring on his back and tail, that the vet says indicates he may have been run over when he was younger. He does run under cars, so he needs to go to a home with a fenced in yard. Oscar prefers to spend most of his time inside with people. Oscar’s adoption fee is only $100.00 (reduced due to his age). If you would like to be considered to adopt him, please fill out a prescreening application. Dog adoptions do require a home visit.